The National Investment and Infrastructure Fund (NIIF) and global transport infrastructure operator Roadis will jointly set up a platform to invest up to $2 billion of equity in road projects in India. The platform would target toll-operate-transfer models and acquisitions of existing road concessions. Roadis is a fully owned subsidiary of the Public Sector Pension Investment Board which is one of Canada’s largest pension funds. The US House of Representatives has voted to end US involvement in Yemen’s civil war. The resolution to end the American Involvement in the civil war was approved by 247 to 175 votes. The resolution directs the US President to remove US Armed Forces from hostilities in or affecting the Republic of Yemen within 30 days. The resolution rejects the US Presidents support for the Saudi-led campaign in Yemen. 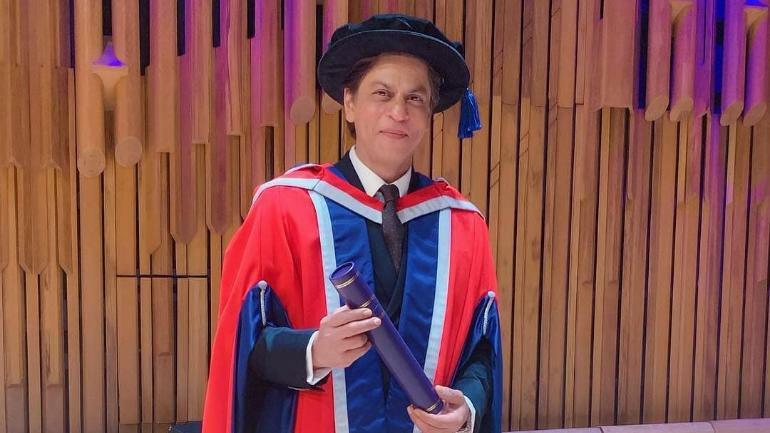 Shah Rukh Khan received honorary doctorate in Philanthropy from The University of Law, London. He has earlier been honoured with honorary doctorates from The University of Bedfordshire and The University of Edinburgh. Shah Rukh Khan owns Red Chillies Entertainment, and Redchillies VFX and Colour. He is also the co-owner of a global sports franchise titled ‘Knight Riders’ with cricket teams across India, South Africa, and the Caribbean. The Union Ministry of Health and Family Welfare along with the World Health Organisation (WHO) on April 4, 2019 formed a Solidarity Human Chain as part of the ‘World Health Day 2019’ celebrations to reaffirm their commitment towards Universal Health Coverage (UHC). The theme of World Health Day 2019 is ‘Universal Health Coverage: Everyone, Everywhere’. The World Health Day is a global health awareness day being celebrated since 1950 every year on 7 April, under the sponsorship of the World Health Organization (WHO). The 12-member Indian Army patrol along with police representative discovered the wreckage of a World War II vintage US Air Force aircraft in Arunachal Pradesh’s Roing district on 30 March, 2019. As per reports, over 400 American soldiers are believed to have gone missing in aircraft crashes while crossing ‘The Hump’ from India to China. The Hump, over the Himalayas, was the main supply route between India and China during World War II, after Myanmar was captured by Japanese troops. FIFA has released world football rankings on April, 04 2019. Belgium topped the list while India rose two points to get 101st rank (18th in Asia). Second and third positions were occupied by France and Brazil. Iran (21st) remained at the top of Asian ranking. The Fédération Internationale de Football Association (FIFA) is an association governed by Swiss law founded in 1904 and based in Zurich. The Nepal-India Franchise Investment Expo and Conclave will be organised by the Federation of Nepalese Chambers of Commerce & Industry (FNCCI) in association with Embassy of India and Franchise India during May 15-16, 2019 in Kathmandu. The objective of the conclave is to build the relations between India and Nepal through entrepreneurship development. 1. Roadis is _____’s largest pension fund. 2. On which day world Health Day is observed across the globe every year? 3. In which state of India, the wreckage of a World War II vintage US Air Force aircraft has been discovered by Indian Army? 4. What was the rank achieved by India in FIFA ranking 2019? 5. When was FIFA founded? 6. Along with which country India is going to organise Investment Expo in May 2019?